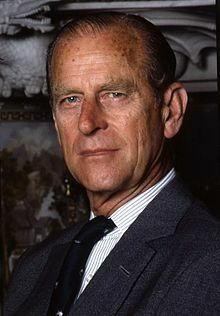 Prince Philip, Duke of Edinburgh (born Prince Philip of Greece and Denmark 10 June 1921) is the husband of Queen Elizabeth II. He is the longest-serving, oldest-ever spouse of a reigning British monarch, and the oldest-ever male member of the British royal family. It seems to me that it's the best way of wasting money that I know of. I don't think investments on the moon pay a very high dividend. You can't have been here that long—you haven't got a pot belly. If a cricketer, for instance, suddenly decided to go into a school and batter a lot of people to death with a cricket bat, which he could do very easily, I mean, are you going to ban cricket bats? It looks like a tart's bedroom. People usually say that after a fire it is water damage that is the worst. We are still trying to dry out Windsor Castle. Do you know they're now producing eating dogs for the anorexics? Ah good, there's so many over there you feel they breed them just to put in orphanages. How can you tell the difference between them? Well, you'll never fly in it, you're too fat to be an astronaut. You look like you’re ready for bed! "Are you all one family?" There is nothing like it for morale to be reminded that the years are passing—ever more quickly—and that bits are dropping off the ancient frame. But it is nice to be remembered at all. Is it made with Liffey water? It is an old cliche to say that the future is in the hands of the young. This is no longer true. The quality of life to be enjoyed or the existence to be survived by our children and future generations is in our hands now. A new criterion has been added, the conservation of the environment so that in the long run life, including human life, can continue. This new consideration must be taken into account at all levels and in all departments of government and in the boardrooms of every industrial enterprise. It is no longer sufficient simply to quantify the elements of existence as in old-fashioned material economics; conservation means taking notice of the quality of existence as well... The problem is of course to give some value to that quality and perhaps the only way to do this is to try and work out the cost in terms of loss of amenities, loss of holiday and recreation facilities, loss of property values, loss of contact with nature, loss of health standards and loss of food resources, if proper conservation methods are not used. Looked at in that light it may well turn out that money spent on proper pollution control, urban and rural planning and the control of exploitation of wild stocks of plants or animals on land and in the sea, is the less expensive alternative in the long run... The conservation of nature, the proper care for the human environment and a general concern for the long-term future of the whole of our planet are absolutely vital if future generations are to have a chance to enjoy their existence on this earth. Then we go back to the Duke of Edinburgh; I recall an amazingly ridiculous campaign against him because, on a visit to India, he was invited to go tiger-shooting (such an invitation is a great honour there) and after a few days of the newspapers back home yelling and screaming and jumping up and down, he had to pretend that he had a whitlow on his trigger-finger and so couldn't shoot anything, not even a tabloid journalist. Bernard Levin, "Uneasy Lies the Head", The Times, 23 January 1989. Now I'm sure you're aware Prince Philip is a ninety-years-old man whose entire job is to walk two paces behind his wife and make inappropriate comments.